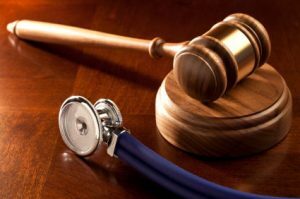 Resolution Obtained For Hospital Medical Malpractice Case In Broward County - La Cava & Jacobson, P.A. Lou La Cava and Shari Smith obtained an excellent resolution of a case just before closing argument in a hospital medical malpractice case tried in Broward County. The Plaintiffs alleged that the hospital negligently failed to offer CPR training to the parents of a premature infant prior to discharge. Three weeks after discharge the child had a cardiorespiratory arrest and ended up with severe neurological damage and is in a persistent vegetative state. She was 6 years old at the time of trial. The Plaintiffs alleged the child would have had much less damage if the mother could have provided CPR before the paramedics arrived 8 minutes after they were called. A settlement could not be reached prior to trial because the Plaintiffs would not accept the amount offered since it was below the past medical lien and they felt the case had a very high settlement value due to the extent of damages. After a two week trial putting many holes in the Plaintiffs’ case, the Plaintiffs were given a last chance, take it or leave it settlement offer that remained below the past medical expense lien. The Plaintiffs accepted the offer to resolve the case.